Available in bookstores across Canada, or order it online here or here. Winner of the Quebec Writers’ Federation Concordia University First Book Prize. 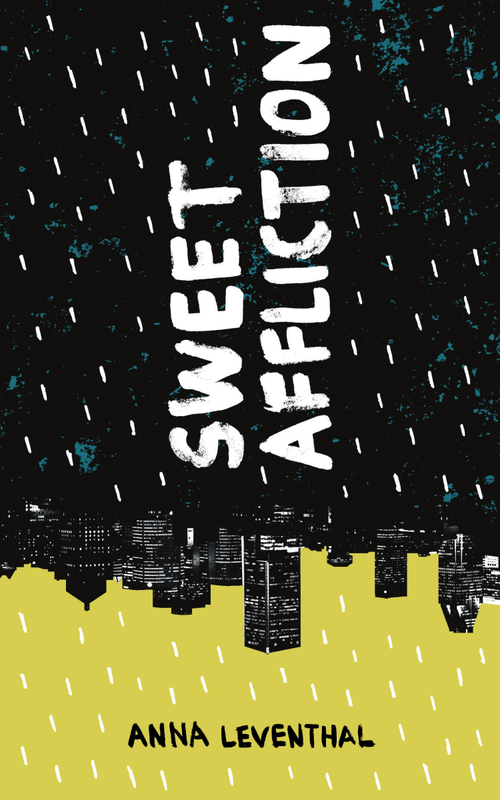 Sweet Affliction is — no big deal or anything — one of the most successful, high-functioning, sometimes perfect collections of short stories I’ve read in recent memory. These stories stand Canadian literature on its head — amazing characters, totally original and unexpected situations, absolutely hilarious and heartfelt prose — Anna Leventhal is a one-of-a-kind talent. These are serious, vivacious tales, punk-rock and clear-eyed: Karen Russell corkscrewed with Joan Didion, and as compulsive to read as a Michael Chabon novel at full gallop. A sweet love letter to my writing group by Sean Michaels.